We have raised a massive £718 from our sponsored toddle! We are absolutely overwhelmed with this and can’t thank you all enough! Words simply can’t describe how grateful we really are. Also, a huge thank you from all of us again for all your kind words, gifts and cards! 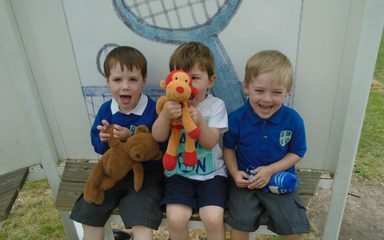 We have had a wonderful year in Nursery and we wish all our leavers the very best in their new schools! They have all been amazing! What a fantastic amount you have raised on your toddle. Well done. Hope you all have a lovely 6 weeks holiday and to those children returning to Fellside I will see you in the hall at lunchtime in September. To the other children I wish you all the best in your new schools and for the future.